Something new from The Brother Jones Brain Trust… BIBLE JIGZ! Are you looking for the latest car crash – shoot ’em up action game app?? Well, you’re not going to find it here! 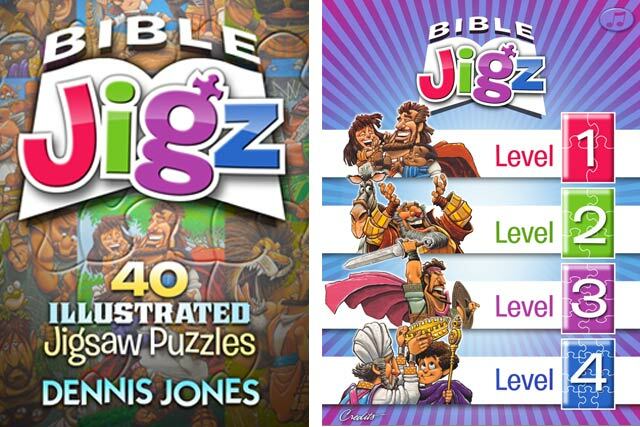 Bible Jigz is not a game, there are no high scores, no time clocks, no explosions… it’s just jigsaw puzzles and they’re pretty fun to put together. If you read the teaser in the iTunes store you will discover that jigsaw puzzles are apparently good for your brain AND will help you lose weight!! …ok, I made that last part up. You can take a look at BIBLE JIGZ right HERE in the iTunes Store.